White began teaching at the Keiser University College of Golf in 2010 after enjoying a successful career in the LPGA. She joined the LPGA Teaching & Club Professionals in 1997 and was the 23rd member to be inducted into their LPGA Hall of Fame. Throughout her career she has been committed to giving back to the community, which is evidenced by her involvement with Special Olympics, PGA HOPE (Helping Our Patriots Everywhere), USGA-LPGA Girls Golf, and many other organizations. 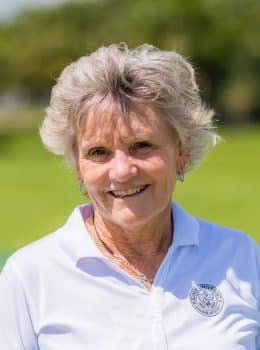 She was named one of the Top 50 Best Female Teachers by Golf Digest and Golf for Women Magazine, Bellsouth/SEC Women’s Entrepreneur Award in 2000, the Samaritan Award for community service in 1988, and the founder’s Cup award presented by Golf Digest for community efforts in 1987.